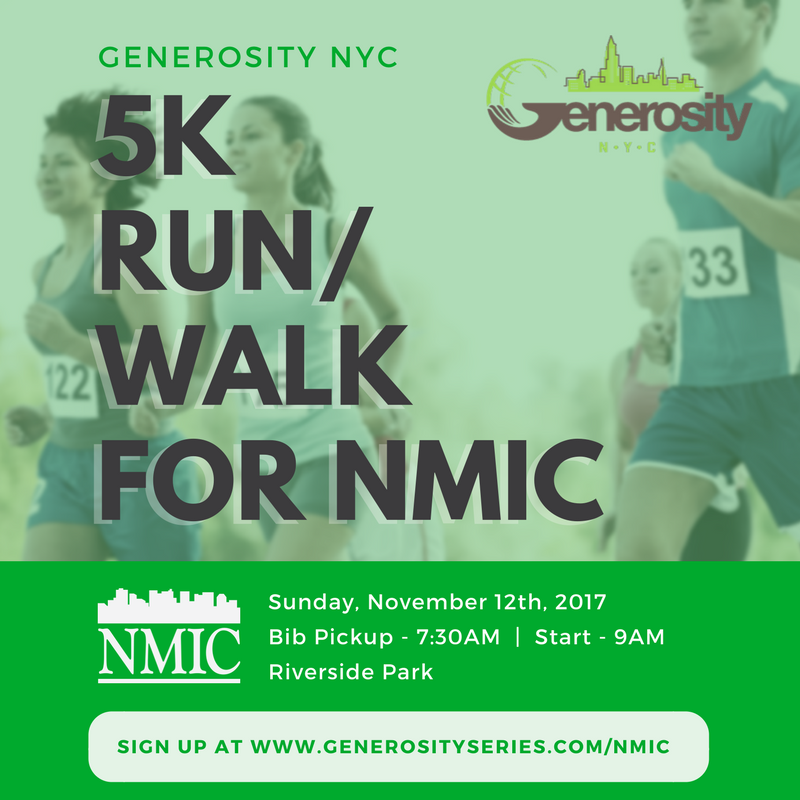 On Sunday, November 12, NMIC will be participating in Generosity NYC’s multi-charity 5K Run/Walk at Riverside Park. Situated on the Upper West Side of Manhattan, Riverside Park provides hundreds of acres of sprawling parkland with sweeping panoramas of the Hudson River that will create a beautiful backdrop for the 5K. Generosity NYC features a pre-race warm-up, professional announcer, one of a kind race gear and just an amazing time with friends, family, neighbors, co-workers and other charitable individuals. Participants can sign up to support NMIC as individuals, or create a team to race and fundraise together.